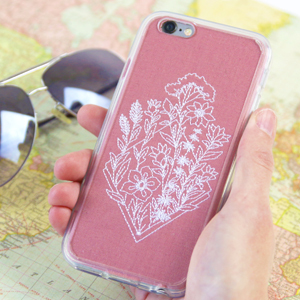 A little phone case is the perfect place to make a big style statement! 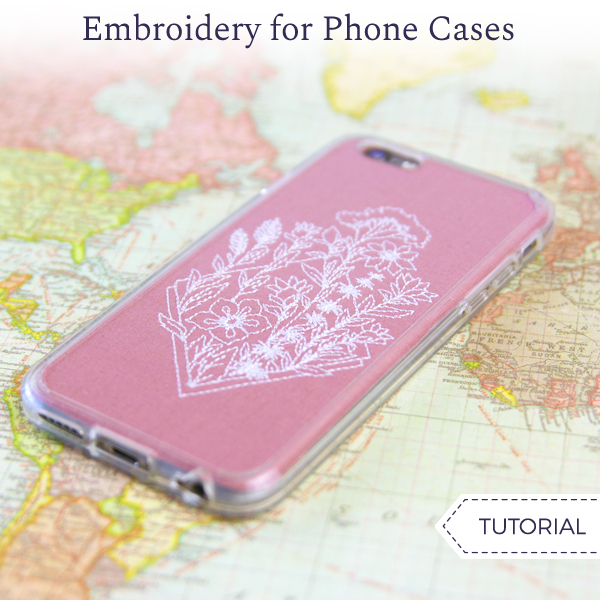 This quick and easy project combines a pretty little embroidery design with a transparent phone cover to create a one-of-a-kind look. We'll show you how! To start this project choose a clear phone case. 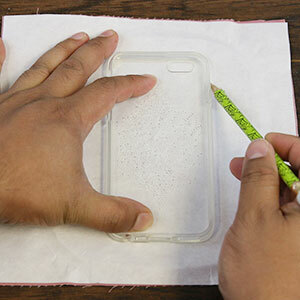 Place the phone case down and measure the height and width of the case. Use this measurement to determine what size / design to purchase. Then print the template at full size using embroidery software. If you do not have embroidery software, Wilcom TrueSizer is a free program to use. 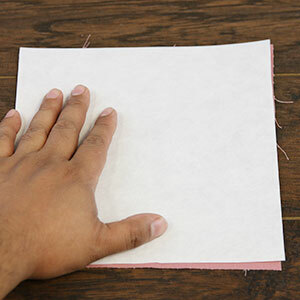 Spray the 8" square of stabilizer with temporary spray adhesive, and smooth it onto the back of 8" square of fabric. Hoop both layers taut, with the stabilizer toward the bottom. 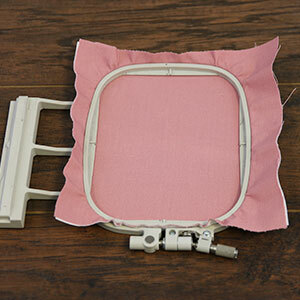 Attach the hoop to the embroidery machine, and load the embroidery design file into the machine. After the design has finished sewing, remove the hoop from the machine and remove the design from the hoop. Remove loose threads. Lay the design face down and place the phone case over the design. Center the design within the case and trace the phone case borders. 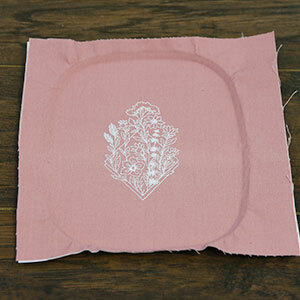 Cut along the inside of the trace marks to remove the excess fabric from the design. Carefully cut around the outside of the trace marks to create space for the camera lens. 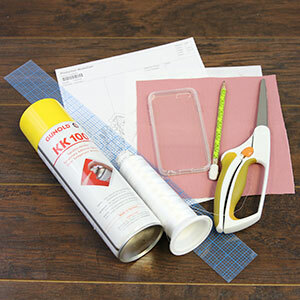 A craft knife can make this easier than using scissors. 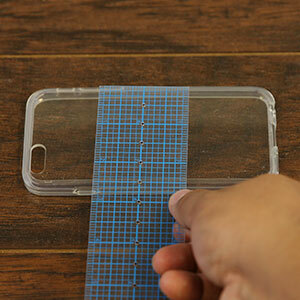 Place the design inside the phone case, and place the cover on the phone. 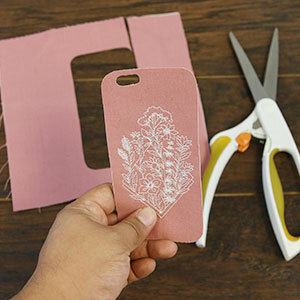 Your perfectly personalized phone case is complete!